Talk, talk, talk about the end and new beginning. I’m Alex. This week we go for the best environmental songs, in our annual Radio Ecoshock green music festival. You will hear folk, rock, rap, a bit of dance, a bit of humor. Support these artists who care about our world, and use these tunes to get the message out. Slap on headphones if you can, or just enjoy as it comes. 2. We are off to Sydney Australia for a bit of serious live fun from the group Men With Day Jobs. The tune is “Denial Tango”. 3. Next up one of two tunes from the Earth Amplified Mixtape Volume 1, mixed by DJ Sol Rising. This song, Global WarNing, stars Seasunz and J. Bless, with a feature by Stic.Man, from Dead Prez. 4. I heard Australian song-writer and musician Michael Everingham on Under the Pavement, as broadcast on ALL FM 96.9 Manchester UK. With backup from the band Darwager, the song is Coal Gas Man. 5. Hey isn’t life great out in the oil patch? Not so much, according to signer-songwriter Kris Kitco. “Frack That Oil” can be found on You tube. Download/listen to this Radio Ecoshock show in CD Quality (56 MB) or Lo-Fi (14 MB). Naturally the CD Quality version is recommended for an all-music show like this. 6. The nuclear industry says “Please Take Our Poison” Yeah, nobody wants that radioactive garbage. The song was written by Donald Keesing of NIRS, Nuclear Information and Resource Service (lyrics here), and performed live by Donald Keesing performing with Randy Austin & Phil Duarte at the 2002 No Nukes On Native Lands benefit for Skull Valley Goshute’s fight against DFS. You can get more radiation protest songs from Donald here. 7. In early December 2013, Radio Ecoshock covered the proposed Polymet copper sulfide mine set to poison the pristine wilderness of Northern Minnsesota USA. Here is the full version of the song “Don’t Poop In Your Own Pool Brother”. It’s performed by Mark Blom of the group The Arrowhead Story” Find their album “Industry.Peace.Environment” at bandcamp.com. It’s a catchy piece which stuck in my mind too long. Now its your problem. 8. A good anti-fracking song: “You Can’t Be Rich On Shattered Land” by Alex Hickey of Nova Scotia. Find it on You tube, complete with Lyrics, as recorded in her livingroom by the sea. 9. Small & Slow by Australian artist Formidable Vegetable – from his album “Permaculture- A Rhymer’s Manual” This guy can take a Ukelele into rock music and get the crowd hopping. Check out the full album. 10. 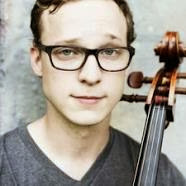 Ben Sollee American cellist, singer-songwriter, and composer, with an activist bent. He’s been featured on PBS and NPR, being originally from Lexington Kentucky. There is something sadly touching about this song “Panning for Gold”. 11. Not professionally recorded but still rocking, this is “Global Warming Day” from the band Breaking Laces. 12. Earlier we heard Global Warning from the Earth Amplifed CD. We’re back, with a Remix of Beats Antique Seasunz, Seneca, Ambessa & Tbird doing the track “Runaway”. 13. This next song just moved me. It’s something you can listen to several times. Join over a million people who watched Maynard James Keenan playing as Pucifer. The song, “Humbling River” was also featured in the trailer for the video game “Transformers: Fall of Cybertron”. 14. As featured in an earlier Radio Ecoshock show, we have Toronto artist and animal advocate Gaiaisi singing “Change the Earth” You have to watch the video that goes with it – with moving footage from supporting groups 350.org, Al Gore’s Climate Reality Project, Greenpeace, Rainforest Action Network and World Wildlife Fund. It just might be the best environmental video/song combination for 2013. Get that link in my weekly show blog at ecoshock.info. Change the Earth. 15. This last entry in the 2013 Green Music Festival is more a clip than a song. It’s one of my first productions as I gear up to make the music this show needs. I am Alex Smith, and this is “Always Warming”. That’s it for our annual Radio Ecoshock Green Music Festival. If you know good green tunes, or make music suitable for the program, just send me an email. The address is simple: radio at ecoshock.org. That’s radio at ecoshock.org. I’m picky about what gets on the air, but I’ll give anything a try. Send me your own entry, or point me to the green music. Thanks for listening. Please support our struggling green musicians whenever you can. Sure it’s free on You tube, but I buy the song for a buck anyway, just to keep them going. I hope you will too. You can find all our past programs, as free mp3 downloads, at my web site, ecoshock.org. If you feel in the giving mood, you can support Radio Ecoshock as well. Details on the web site. My special thanks to all the hard-working folk and volunteers at community radio stations around the world. Thank you for broadcasting Radio Ecoshock on more than 76 stations on 3 continents. It’s a message the whole world needs to hear. Hello to all my loyal podcast supporters. Our new 2014 season of Radio Ecoshock is coming right up next week. I’m Alex Smith, thank you for listening, and caring about your world.